Without any doubt, is one the best communities I've seen. This was one of my bridges in my fourth game "Stirling". I terraformed to make the bridge, as I learned in the thread about double-height bridges. But the bridge has expensive maintenance. I assume that you are interested in assisting with Pak128.Britain? 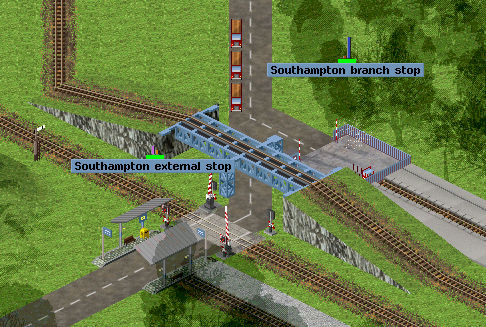 If so, do have a look at this description of the new workflow for vehicles, ways, miscellaneous objects (such as road signs) and single tile buildings. This is easier and quicker than the old workflow because it is fully automated and requires no post-processing in the GIMP. Multi-tile buildings still require the old workflow. 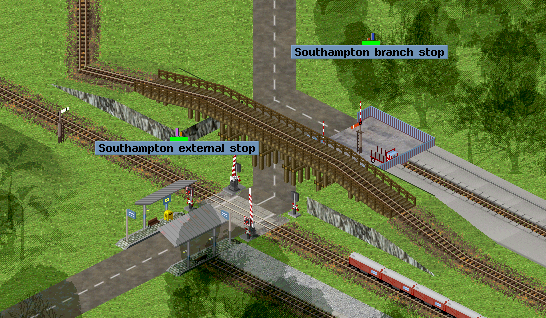 As it happens, there are plans in progress at present (see here for details) to introduce a new mechanism into the game that would make early era air travel make much more economic sense in the game than it does at present, but those plans, if implemented, would also potentially require adding a lot of new first/second class railway carriages (class not currently being simulated, and third/standard class generally being used as the default), although this would mainly require small adaptations to existing railway carriages rather than adding lots of new carriages from scratch. If you would like to help with this when the time comes, that would be most welcome also.